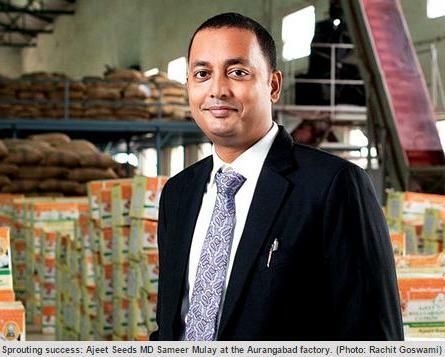 The Visit of Honourable Road & Surface Transport Minister Shri. 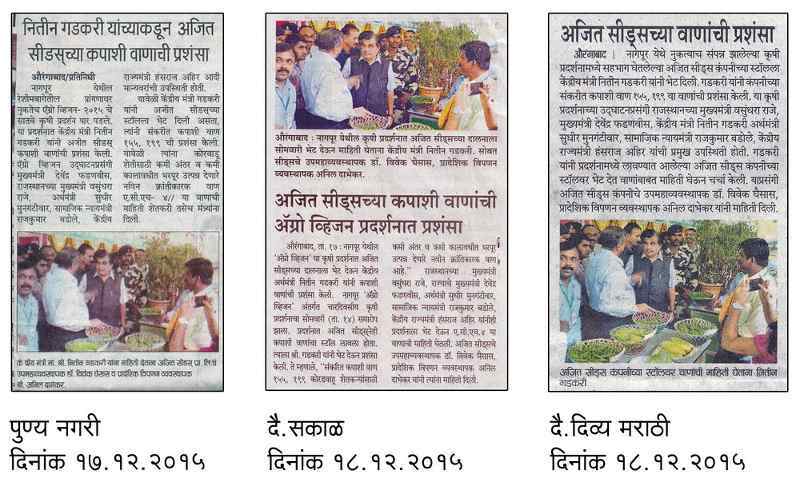 Nitinji Gadkari to Ajeet Seeds Stall at Agro vision - 2015 Nagpur. 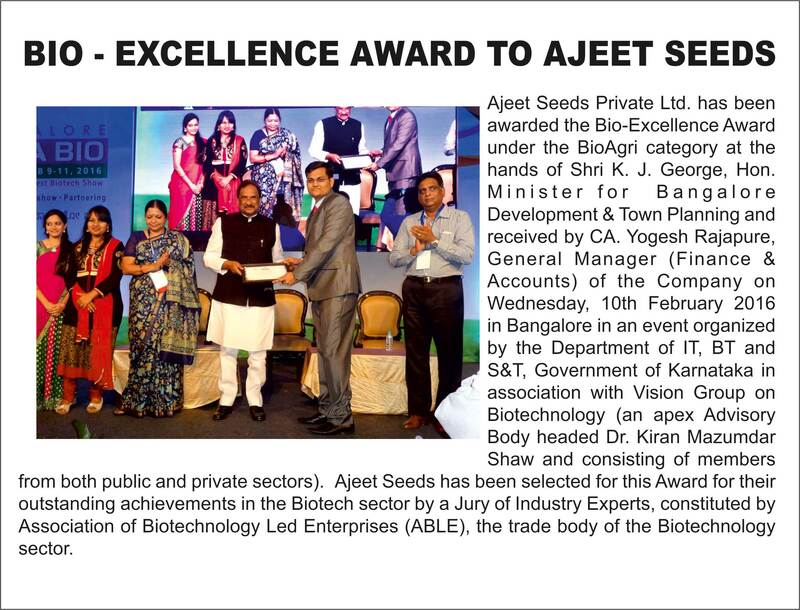 Ajeet Seeds Private Ltd. has been awarded the Bio-Excellence Award under the BioAgri category at the hands of Shri K. J. George, Hon. Minister for Bangalore Development & Town Planning and received by CA.